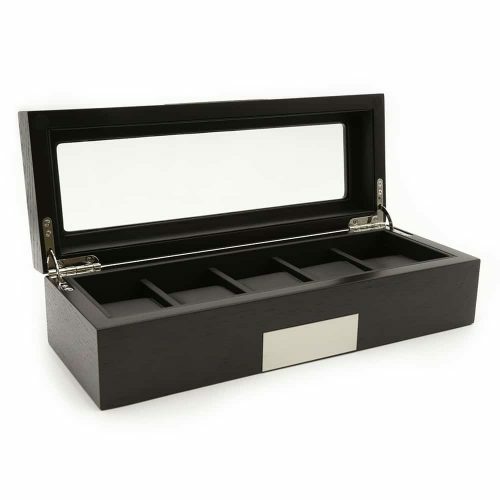 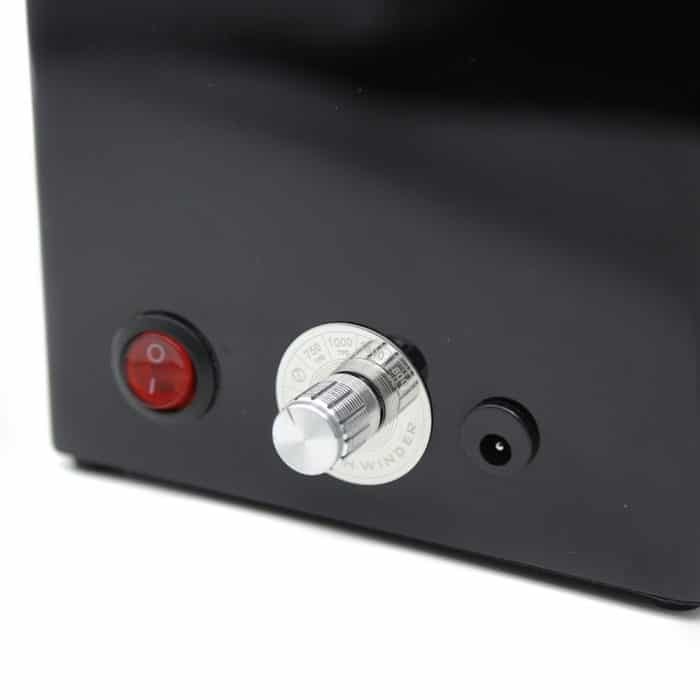 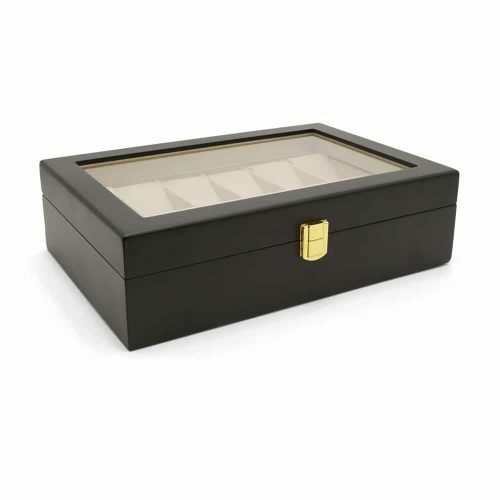 Combining functionality and style, this Black Single Automatic Watch Winder is perfect for keeping your watches safe and maintained. 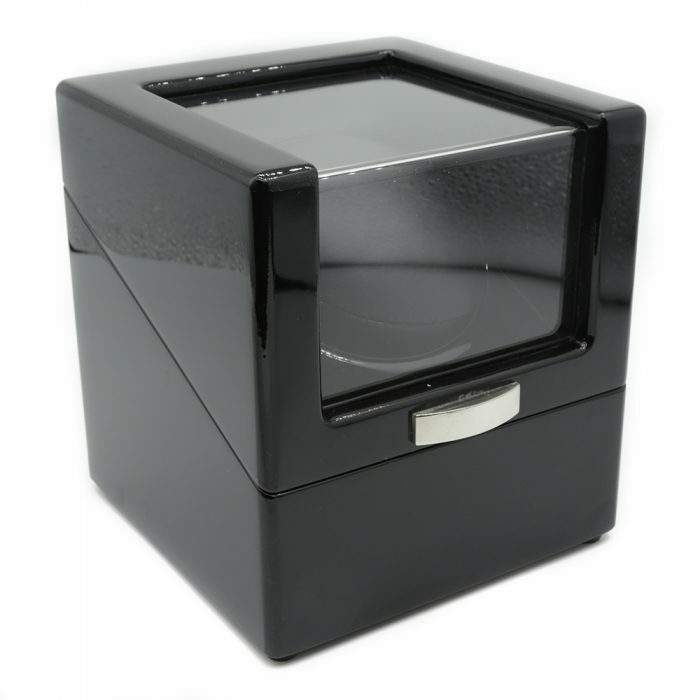 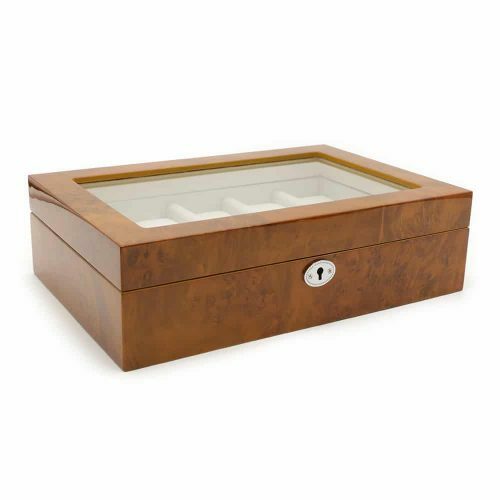 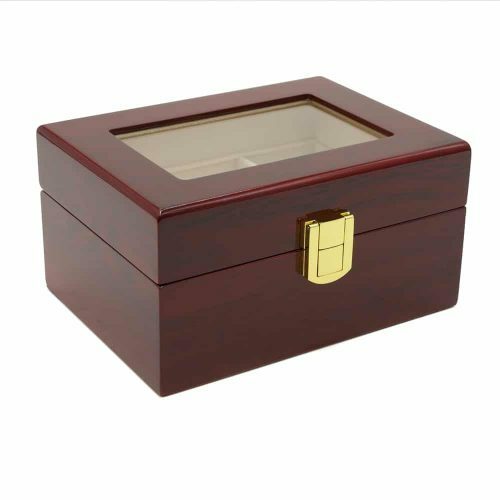 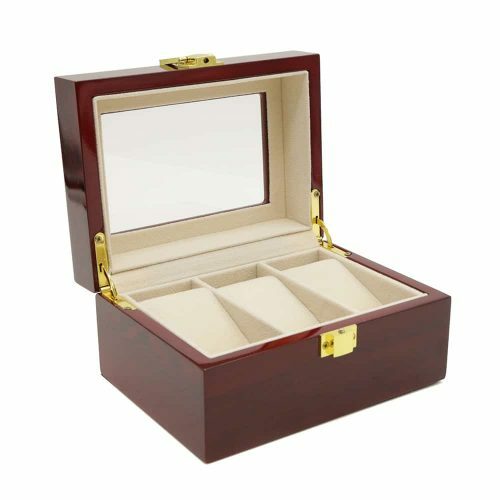 Equipped with the latest technology, this automatic watch winder has 4 motor functions and it operates quietly. 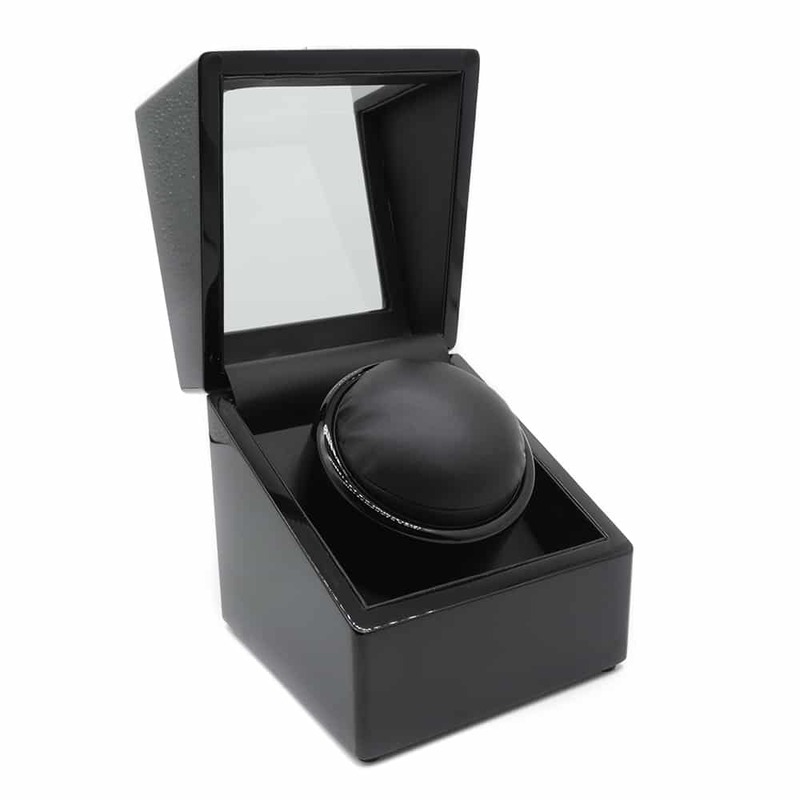 The interiors are fitted with black PU leather with a matching soft cushion to keep your watch scratch-free. 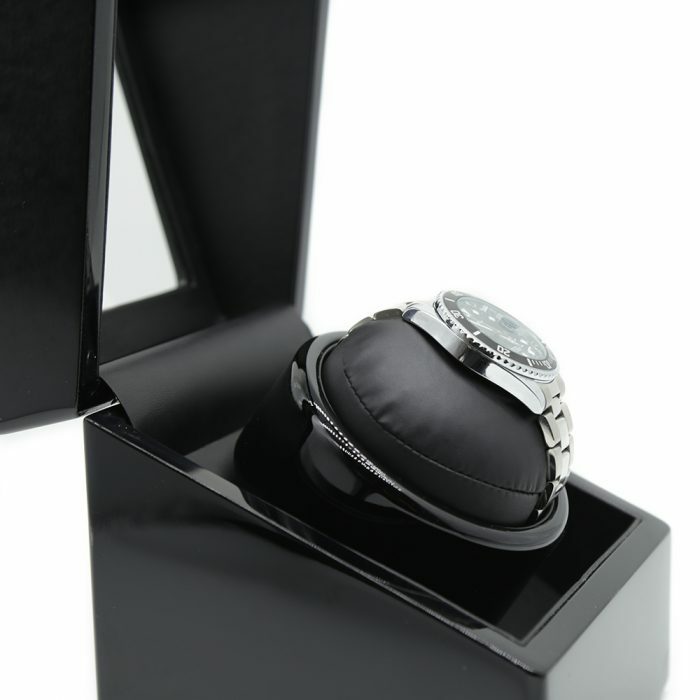 It also comes with a large transparent panel on the lid allowing you to view your watch as it winds. 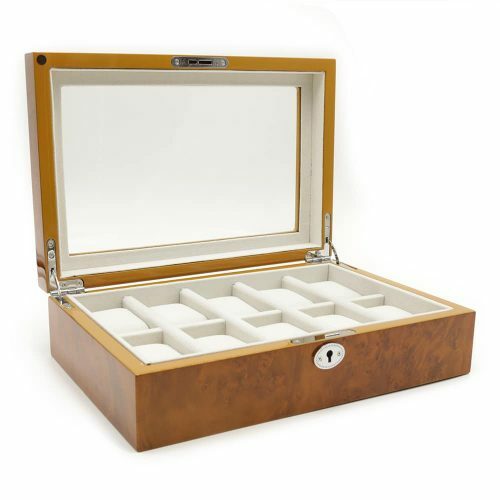 Due to its elegant design, this can double as a display case. 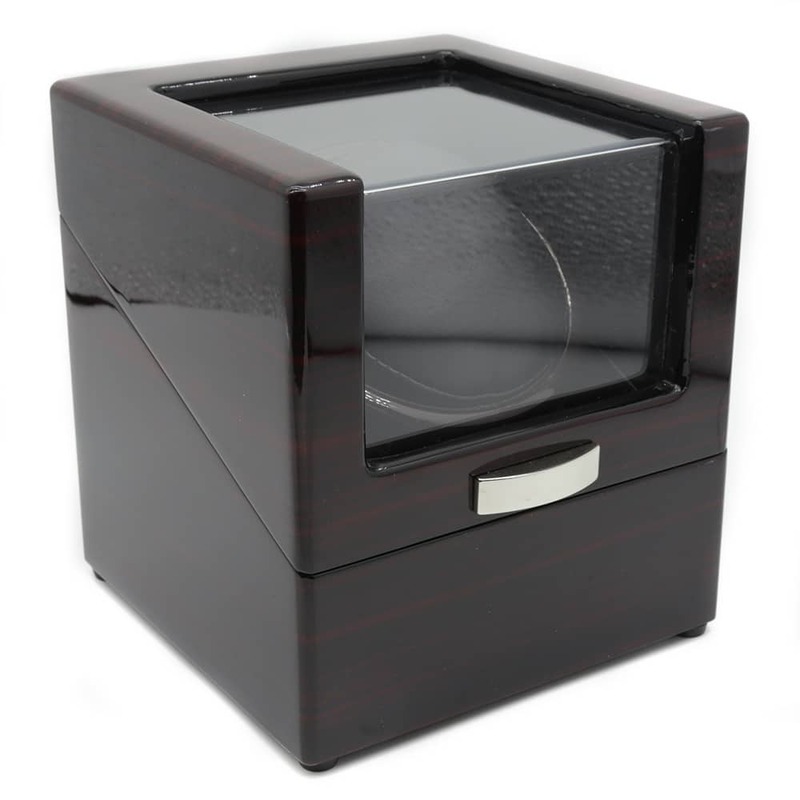 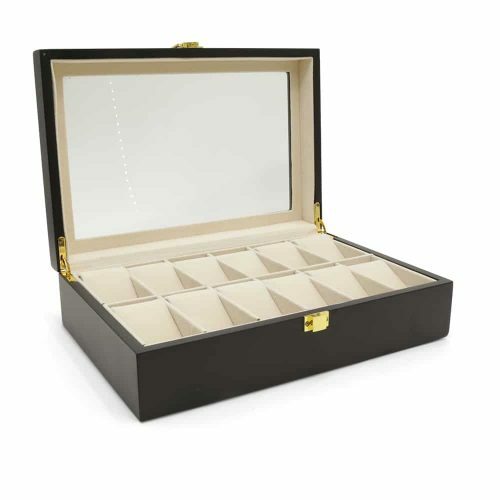 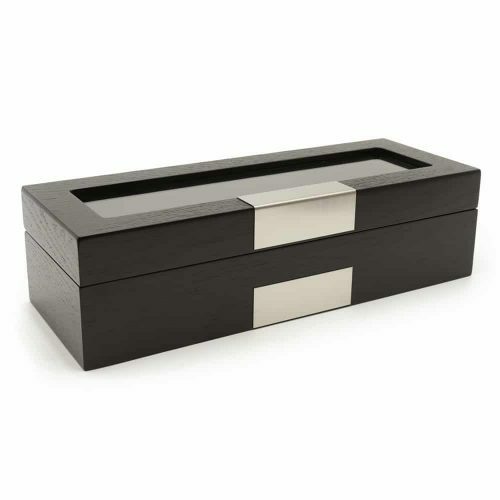 This watch winder has won our heart with its beautiful black high gloss wooden look with its black PU leather interior.